China’s Communist Party is about to unveil the country’s next generation of leaders. Almost all will be career politicians who have risen through the ranks. But what are the secrets of success in one of the world’s most rigid authoritarian systems? Age is very important in China, and if you haven’t been singled out for high office by the time you are in your mid-twenties, it’s probably too late. The two men who are set to become China’s new president and premier, Xi Jinping and Li Keqiang, both joined the Party aged 21 and have never worked outside it. Nowadays children get exposed to politics even earlier, starting from age six when they wear the distinctive red neckerchiefs of the Young Pioneers. Formal political education doesn’t really start until selected children join the Communist Youth League, from 14, and promising students are eligible for full party membership from 18. To join the Party, you have to write an application letter to your local party cell, be accepted into a study group, have your thinking and background thoroughly examined, then be approved as a probationary member. There is a formal ceremony held before the Party’s flag – a yellow hammer and sickle on a red background – and new members swear the Party oath. Joining is not easy. In 2011 22m people applied and only 3m were accepted. Overall membership rose slightly to 83m, making it arguably the largest private club in the world. People want to join for different reasons. Membership brings high status and significant privileges, like access to restricted information, government jobs and a chance to meet people who can help your job prospects. For others, joining is about sacrifice and wanting to contribute to China’s future. The most important factor in how far you rise is your patron, or kaoshan in Chinese – meaning the mountain you can rely on. “If you have a patron who can get you into the queue for jobs when you’re young, ahead of other people, you are poised for greatness,” says Minxin Pei of Claremont McKenna College. For children of high-levels officials this is easy, since they have the help and protection of their parents’ networks of influence. About half of China’s most senior leaders now fall into this category, and are known as the “princelings” because of their privileged upbringings. The other important faction is known as “tuanpai”, people like outgoing President Hu Jintao who have risen up through the Communist Youth League. Coming from more humble backgrounds, they are usually thought to be more concerned with popular issues like subsidised housing or rural incomes. For most of the past five years, the two groups have been battling over who gets the next generation of top jobs. Xi Jinping, a princeling with extensive family ties, pipped Hu Jintao’s protege Li Keqiang for the top job, but some other posts are still up for grabs. “It’s not just two blocks which need to be balanced against each other,” according to Steve Tsang of Nottingham University. “Multiple games are being played in terms of factional politics and personal ambitions. You try to form alliances, persuade people that what you can offer is more attractive that the others,” he says. 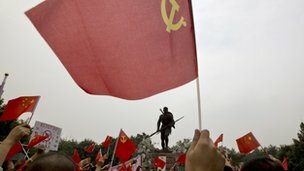 China’s censored media doesn’t’ report the battles. When snippets of unverifiable rumour emerge, they suggest a ruthless political culture. Ling Jihua, a close ally of Hu Jintao, appears to have missed out on promotion after his son was killed in a car crash – allegedly driving a Ferrari, with two partially-dressed women as his passengers. Throughout China’s history, its leaders have been expected to govern with a sense of moral duty. So while the Party, like the emperors before it, believes it has an unassailable right to govern, it also believes it has the duty to govern fairly. There is a long tradition of eulogising good officials, whose devotion and sacrifice is held up as a public model. Nowadays, officials need to show their superiors they are able to govern well. They are subjected to annual reviews where factors like GDP growth, tax revenues and social stability in their areas are key. At grassroots levels the Party has allowed some elections, though officially approved candidates almost always win. Some higher officials’ promotions are also now approved by limited public consultation. These measures help the Party claim it has public legitimacy. But most Chinese would say its successful management of the economy is why it should stay in power. Officials also need to appear humble, and remember the Party’s watchwords “Serve the people”. 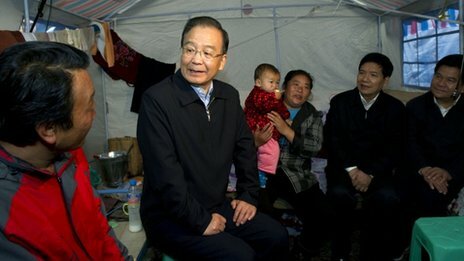 Outgoing premier Wen Jiabao has become one of China’s most popular leaders because of his ability to connect with ordinary people. After every earthquake, landslide or flood “Grandpa Wen” – as he is widely known – is quickly there, chatting sympathetically and ready to help. Even though critics say it’s an act, Wen’s apparent humility earns him huge respect. 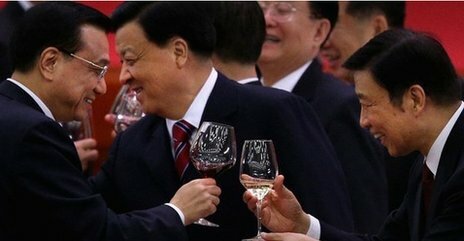 As China’s economy has boomed, high-level corruption has become the biggest source of popular anger against the Party. Measuring its scale is impossible, but corrupt officials are thought to have smuggled $120bn out of the country since the mid 1990s. There is also resentment against perks of office like banquets, expense accounts and lavish gifts which have become an important extra source of income. The Party has responded by cracking down on the most blatant culprits. It says tens of thousands of people have been punished. But critics say the campaigns are often propaganda, and the Party knows it has to tolerate most official corruption precisely because so many people are implicated. “If you start, where do you stop? Because everyone’s touched by it,” says Richard McGregor, author of The Party. The result is that top officials and employees of state-owned companies are able to get rich, but must take care not to show off that wealth conspicuously. Shaanxi official Yang Dacai has learned that lesson. He was sacked this year after an internet campaign exposed how many expensive watches he owned, and asked how he could afford them on a provincial official’s salary. Only about a quarter of Party members are women. No woman has ever reached the Politburo’s standing committee, its highest decision-making body. In the wider, 24-strong Politburo, only one woman, Liu Yandong, has a seat. Modern China’s founders – men like Mao Zedong and Deng Xiaoping – were charismatic visionaries who almost single-handedly dictated the country’s future. Nowadays leaders have to climb a tangled bureaucracy which demands total obedience. The party’s absolute control of politics and the media means that any mistake could be your last. The most spectacular recent example came in 2012 when Bo Xilai, former party secretary of Chongqing and sometimes tipped for even higher office, was sacked and expelled from the party. His wife was jailed for murdering a British businessman and Bo himself faces charges of corruption, abuse of power and – an old party favourite – “improper sexual relations”. But many Western analysts say Bo’s real crime was to challenge the established way of doing politics. Populist policies and a crime crackdown were a dangerous bid for legitimacy, and a threat to those who awaited promotion via the party’s usual negotiated consensus. “You want to be a tallish poppy, but not a tall poppy. 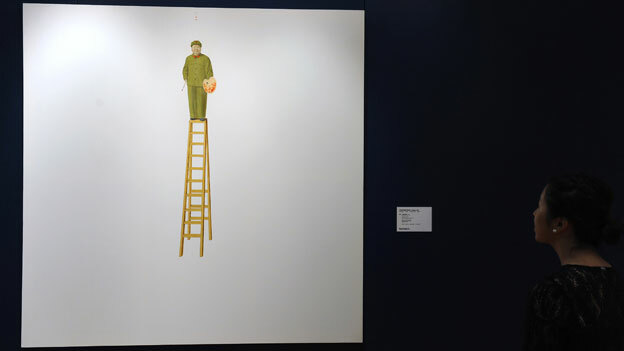 If you stand out too far you may get chopped down,” says Tsang. Not standing out extends to your clothes and appearance – dark suits and dark hair, with no greying allowed. For a party with no democratic mandate, it is vital top leaders appear to understand the challenges faced by ordinary people. 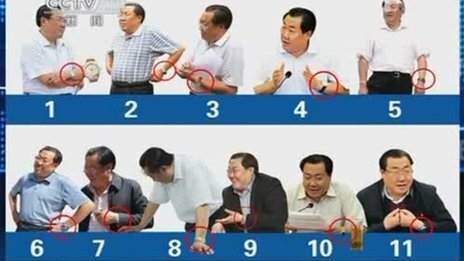 The party’s organisation department, an all-knowing bureaucracy which decides who gets every senior party and government job, therefore makes sure its future leaders have done time far from the comforts of Beijing. Outgoing President Hu Jintao spent four years in Tibet, seen by Chinese as a particularly arduous posting. One of the rising stars among China’s younger leaders, 49-year-old Hu Chunhua, is serving time in Inner Mongolia. All political systems breed ruthlessness, but China’s is especially unforgiving. “If you get pushed out of power they make sure you never come back. You don’t just lose your job, they go after your family and destroy your name,” says Minxin Pei.